Perhaps the best-loved nineteenth-century American novel, Mark Twain's tale of boyhood adventure overflows with comedy, warmth, and slapstick energy. It brings to life an array of irresistible characters--the awesomely self-confident Tom, his best buddy Huck Finn, indulgent Aunt Polly, and the lovely, beguiling Becky--as well as such unforgettable incidents as whitewashing a fence, swearing an oath in blood, and getting lost in a dark and labyrinthine cave. Below Tom Sawyer's sunny surface lurk hints of a darker reality, of youthful innocence and na vet confronting the cruelty, hypocrisy, and foolishness of the adult world--a theme that would become more pronounced in Twain's Adventures of Huckleberry Finn. 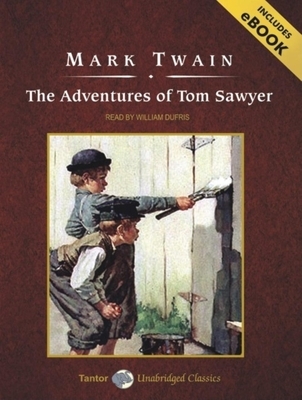 Despite such suggestions, Tom Sawyer remains Twain's joyful ode to the endless possibilities of childhood.